Mumbai: Former team director Ravi Shastri will be the front-runner when the three-member Cricket Advisory Committee (CAC) meets on Monday to scrutinise candidates for the high-profile job of Indian men's cricket team coach. It is learnt that the CAC will interview six of the 10 candidates. As per sources, the six likely candidates are Shastri, Sehwag, Moody, Simmons, Pybus and Rajput. After the Kumble-Kohli saga, the CAC will have to be prudent in its choice as the new coach will be given a two-year contract. A two-year stint as Kings XI Punjab mentor has not yielded the desired results. Moody had also appeared last year for an interview but lost out to Kumble, who was too big a name to be ignored. What works for Moody is his calm demeanour and ability to work from behind the scenes. The list of ten candidates, who had applied for the role of the India head coach, was trimmed down to six on Sunday (July 9), according to the Press Trust of India. 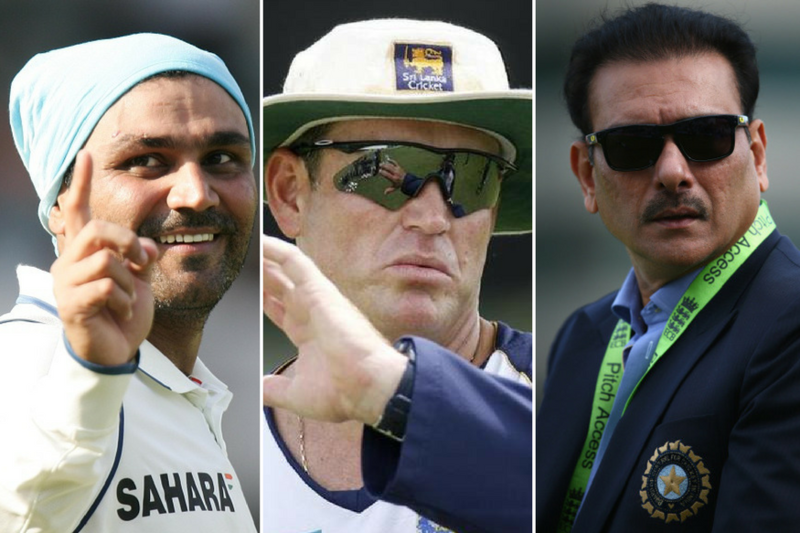 Ravi Shastri, Virender Sehwag, Tom Moody, Phil Simmons, Richard Pybus and Lalchand Rajput candidates who will appear in front of the Cricket Advisory Committee (CAC), which comprises of Sachin Tendulkar, Sourav Ganguly and VVS Laxman. Apart from the six selected to present their case, Dodda Ganesh, Lance Klusener, Rakesh Sharma, who has coached Oman, and Upendranath Bramhachari, a layman with no cricketing background had applied for the role. There were also reports that Klusener has been kept on standby. While Shastri has worked as the Team Director in the past, Rajput has worked with the India A, India Under-19 and the Afghanistan national team. Rajput was also the Team Manager of India during the 2007 World T20, when the side didn't have a head coach. Sehwag has mentored Indian Premier League side Kings XI Punjab. Moody too has worked with Sunrisers Hyderabad as the head coach and has a pretty impressive record with the franchise. He has also worked with various franchises across the Twenty20 leagues. The former Australia player was also at the helm of the affairs when Sri Lanka made it to the final in the 2007 World Cup. Simmons, the former Windies player, has overseen the development of sides like Ireland and Windies as head coach. He was in command of the side when they won the World T20 in India last year. Pybus, who currently holds a position in West Indies Cricket as the director of cricket, has coached Pakistan and Bangladesh previously. Mumbai: The Cricket Advisory Committee on Monday postponed its decision on selecting the head coach of the Indian cricket team. CAC member Sourav Ganguly while addressing the media said that the committee needs to speak to Indian captain Virat Kohli before taking a final decision. The committee interviewed five applicants including Ravi Shastri, Virender Sehwag, Tom Moody, Richard Pybus and Lalchand Rajput. Ganguly further went on to say that it is the players who will be eventually working with the coach and that is the reason why it is important to keep the captain in the loop. "It's not me, Sachin, Amitabh ji (Chaudhary) or Rahul(Johri), who will play. It is the players who will be playing and the support staff will be there. Everybody should be in synchronisation," Ganguly said in a matter-of-fact manner. The former India captain also said that Virat Kohli has been kept out of the entire process of selection so far and that is a decision which the Indian captain respects. He further said that Kohli is an important cog in the wheel and thus it is important to take him into confidence before making a decision. "We are not in a hurry to announce the name of the coach and we are not only looking at the Sri Lanka series. Eventually the appointment will be for a long term and we need to take the best foot forward. "Virat is an important cog in the system and we will take a call which would be the best way forward for the team and the boys because they are going to play." "From what we have heard from the coaches, it is not different from last year. We will take a call in the due course of time. We are not in a hurry. Sri Lanka is a long tour. We want to make sure that everybody is in synchronisation," the former India captain said. Cricketnext had first reported that BCCI had approached Ravi Shastri for the role of coach on the insistence of captain Virat Kohli. 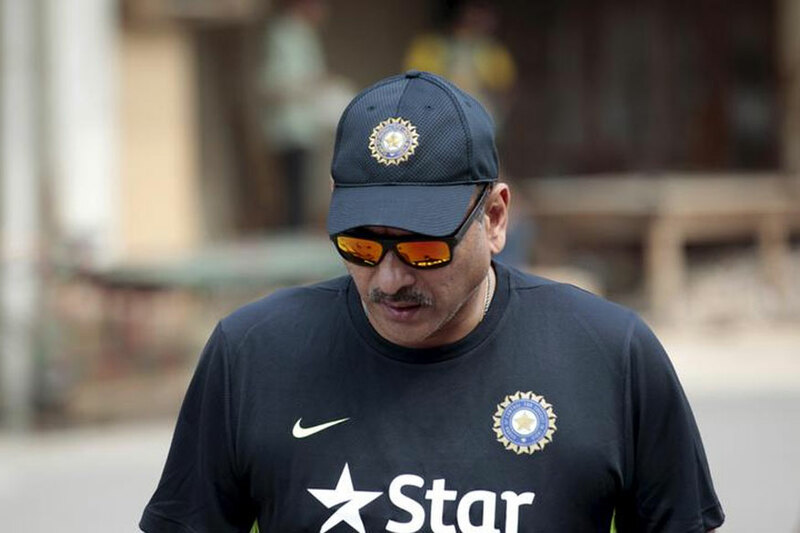 The Indian cricket board re-opened the application process to allow Shastri to formally apply for the position. Shastri, who was the Team Director between 2014 and 2016, had lost out to Anil Kumble for the top job after last year. He has been given a contract that will see him in the job till the end of the 2019 ICC World Cup. The position of coach was vacated after Anil Kumble resigned from the post after the end of the ICC Champions Trophy and decided not to re-apply. Kumble's decision was influenced by his deteriorating relationship with captain Virat Kohli as he confirmed on social media that he took the decision due to captain Kohli's reservations with his "style" and about him continuing as the head coach. Ravi Shastri, during his tenure with the team as director had guided India to the semi-finals of the 2015 ICC World Cup and the 2016 ICC WT20. It was Shastri, who was at the helm of affairs, when Team India, under Kohli's leadership, blanked top ranked South Africa in a Test series at home. The Supreme Court-appointed Committee of Administrators (CoA) has reportedly told the BCCI not to defer the announcement of India head coach and has directed it to make the announcement on Tuesday (July 11). This comes a day after BCCI's Cricket Advisory Committee (CAC) interviewed five potential candidates and decided to discuss them with Virat Kohli before making the announcement. "We want to speak to Virat Kohli, once he is back from America, all three of us, the respective people concerned, we will explain to him that the coaches want to function in a certain way and make sure everybody is on the same page once we make the announcement. Once, we make the announcement, it has to be till the World Cup," Ganguly had said in a press conference on Monday, also stating that the current interim arrangement with MV Sridhar as team manager was likely to continue for the upcoming full-tour of Sri Lanka from July 26. Following Anil Kumble's resignation after the ICC Champions Trophy, IPL chairman Rajeev Shukla had stated that the BCCI would name Kumble's successor before India embark on their tour of Sri Lanka, but Ganguly reckoned that there was no hurry to do so and the aim was to ensure the captain and the team were on the same page before any decision is made. CAC's apprehension and cautious approach perhaps stems from the recent clash of ideologies between the coach and captain that eventually led to the former's exit.